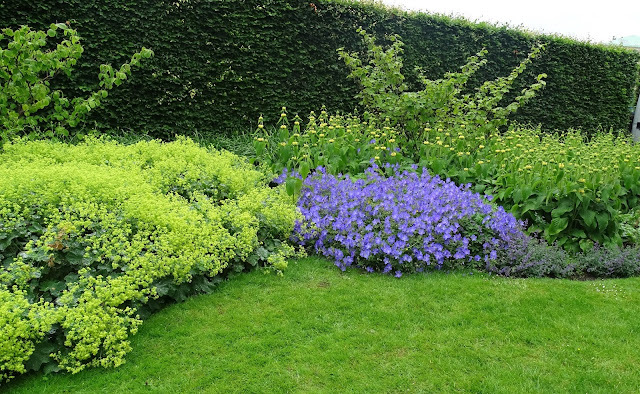 Once again, I think the garden speaks for itself: not many comments from me are needed. 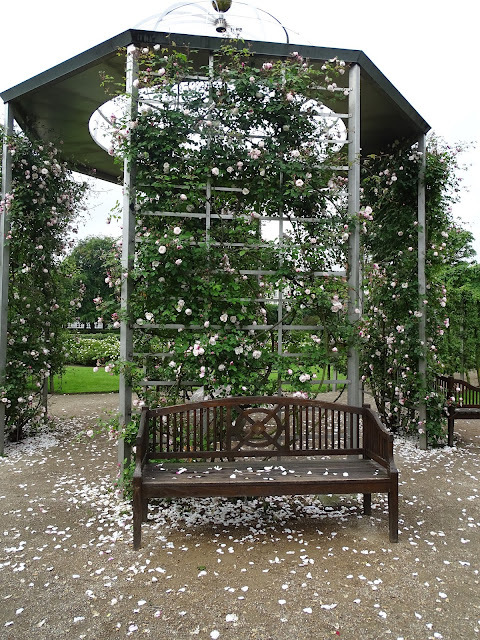 Fabulous rose-draped gazebo: don't you love the petals on the ground? 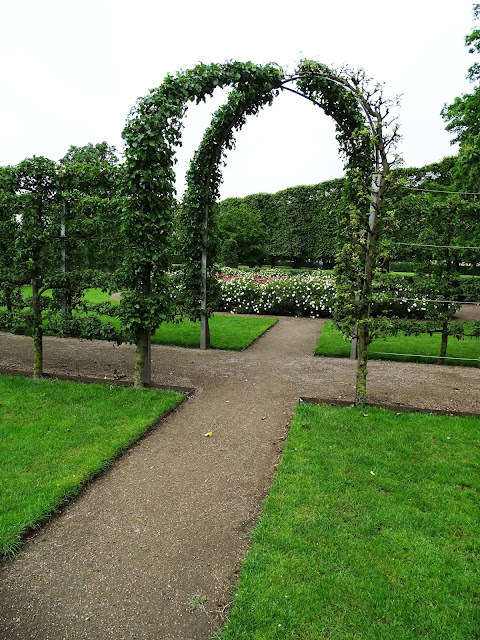 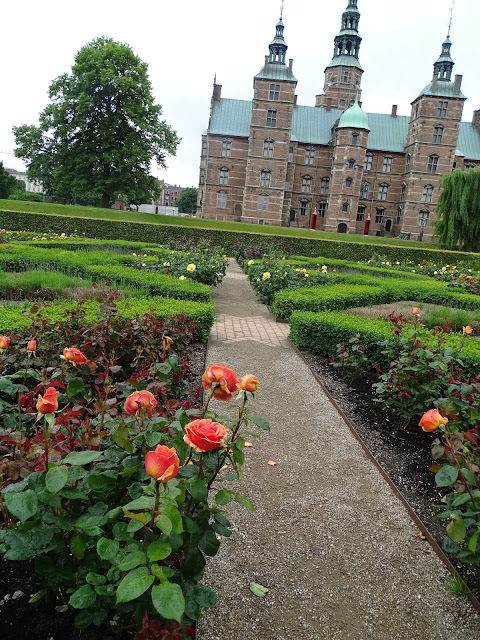 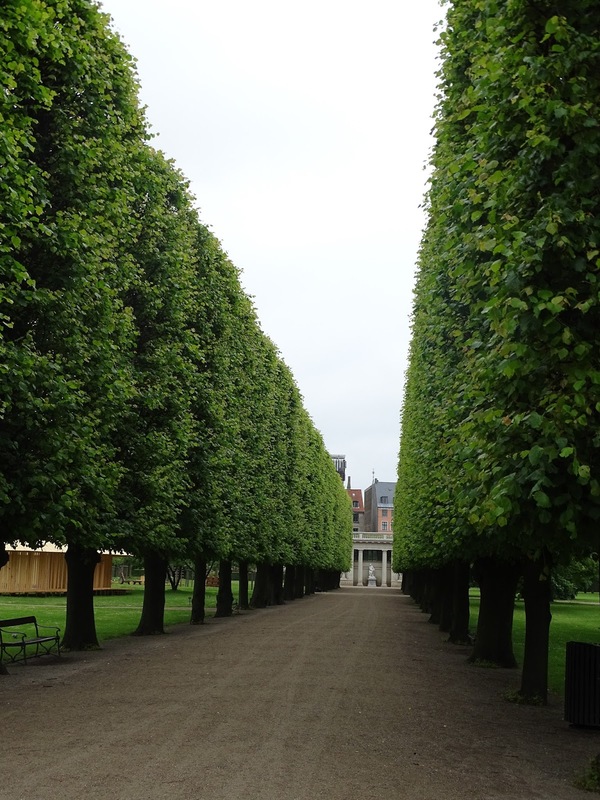 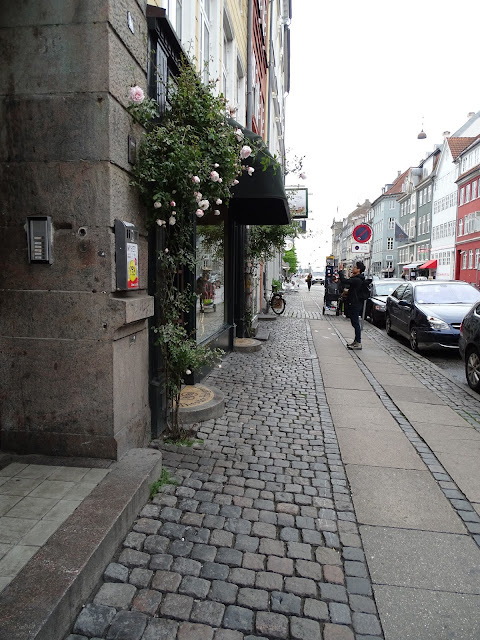 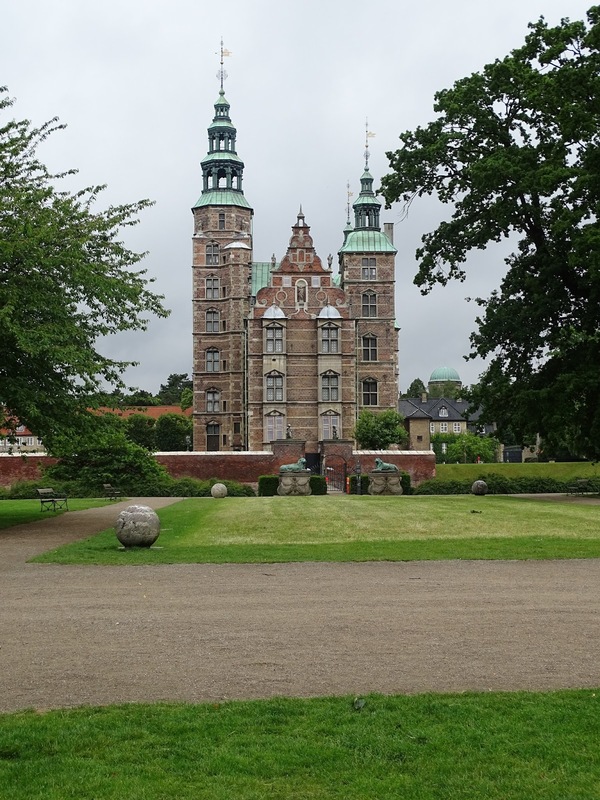 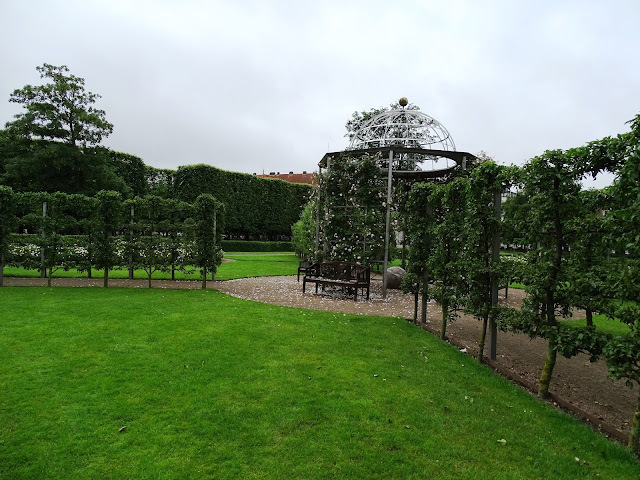 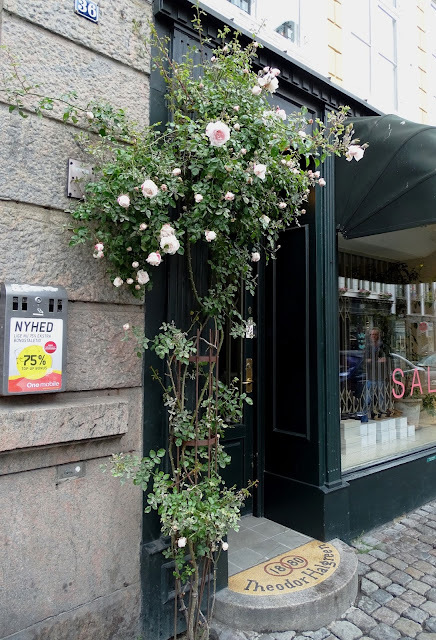 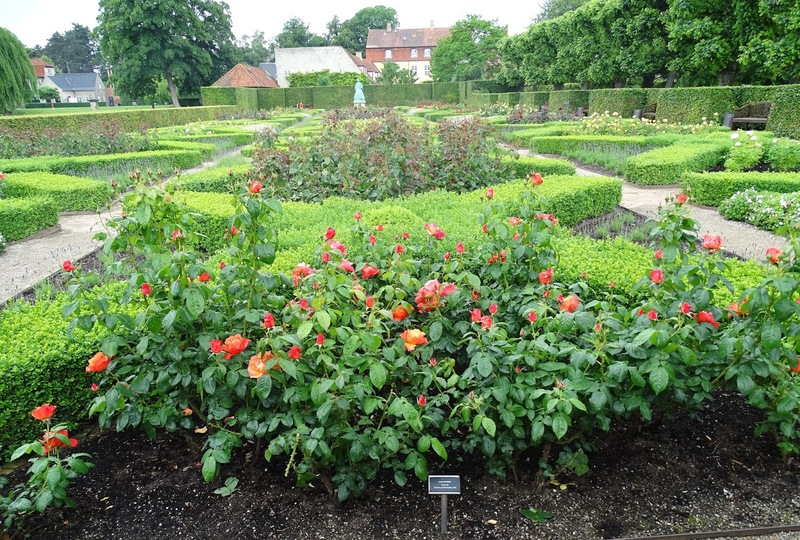 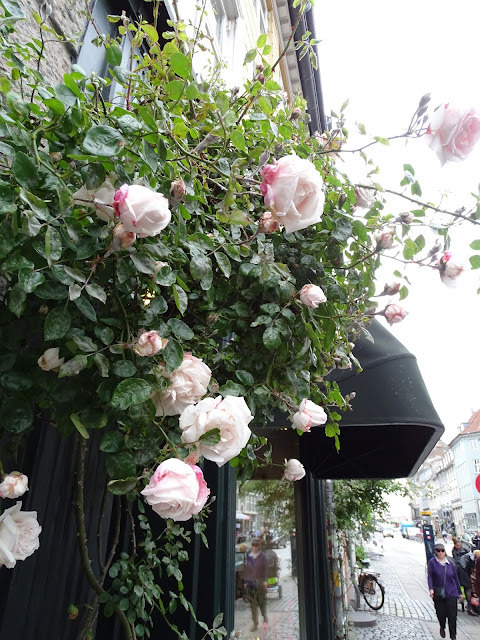 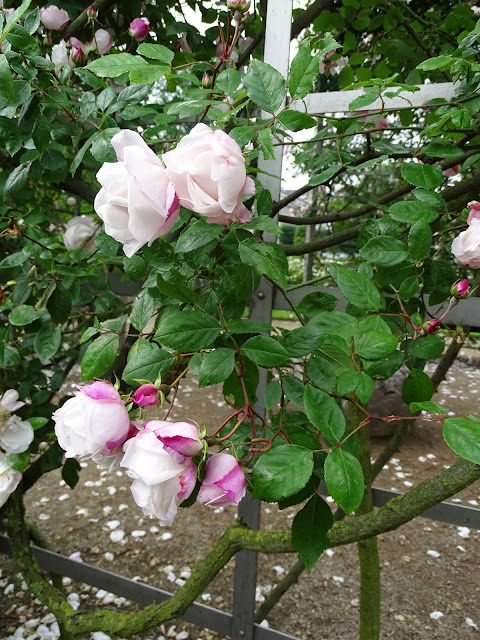 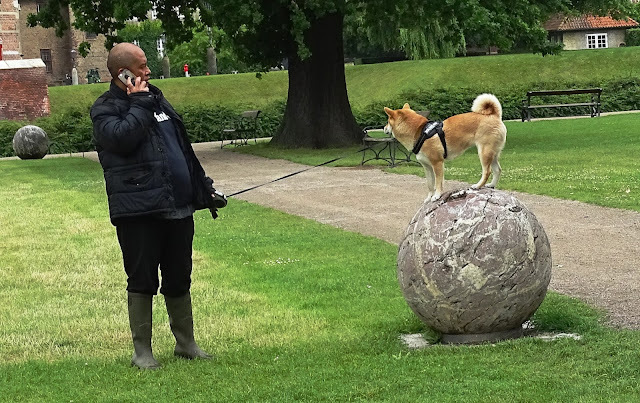 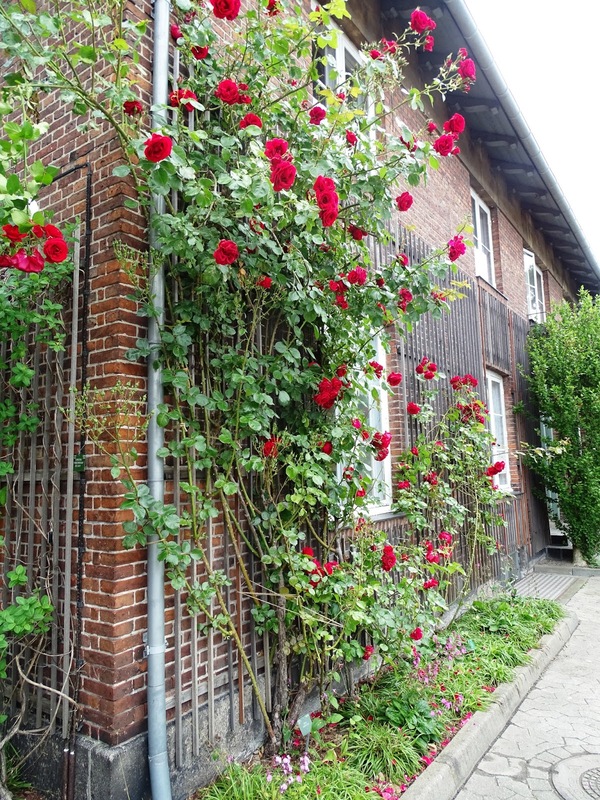 There were wonderful climbing roses all over Copenhagen--here are just a taste..